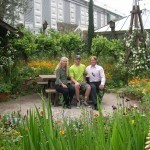 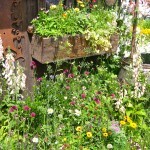 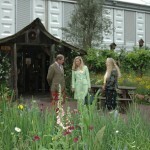 Read the account and watch the BBC’s video of our winning Chelsea Flower Show entry here. 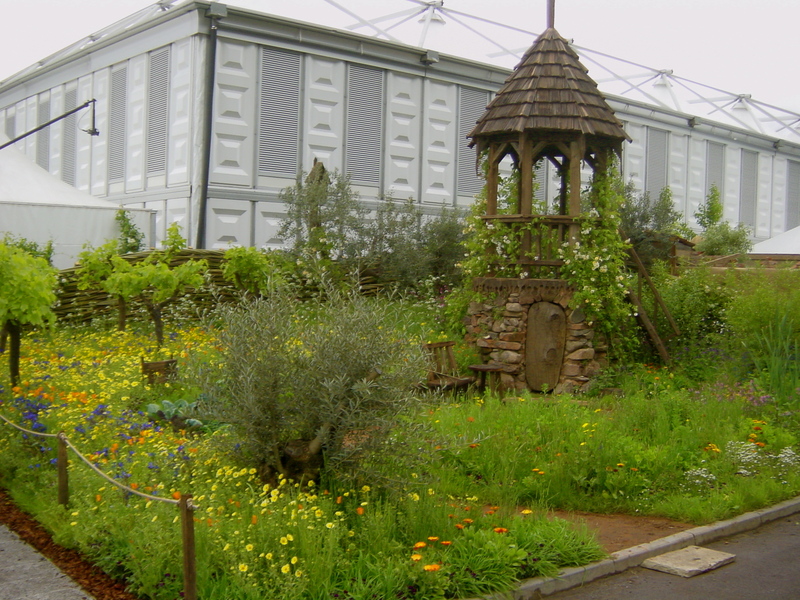 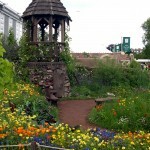 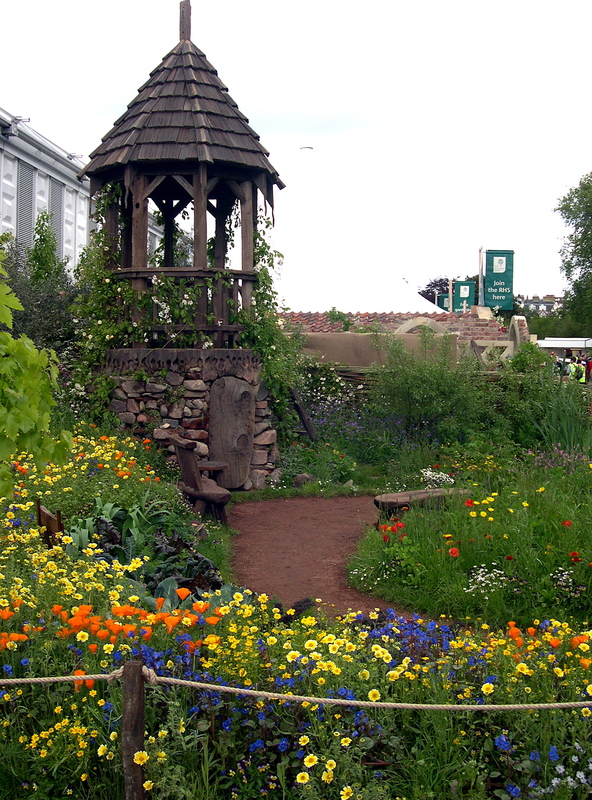 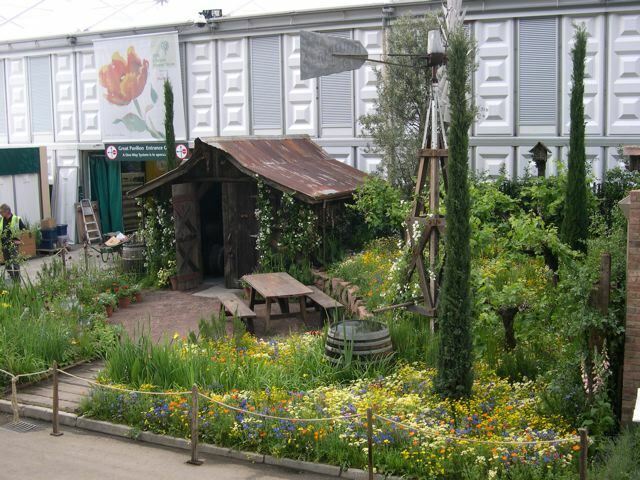 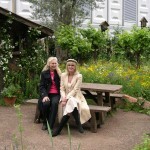 The Chelsea Flower Shows 2003, 2005 and 2007: in 2002 the European marketing manager at Fetzer Vineyards, in Hopland, California, where Kate worked managing the well-known public gardens, asked her if she wanted to participate in the Chelsea Flower Show in London. 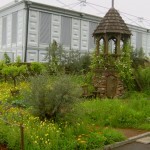 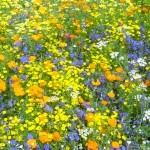 Kate drafted a plan for a garden representing the vineyard’s organic gardens in springtime replete with colorful agricultural covercrops and wildflowers. 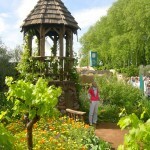 To everyone’s astonishment, the design was accepted, and after a year of planning, Kate went to London to begin building the garden May 1, 2003. 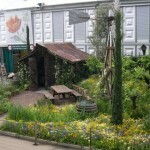 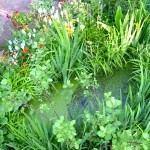 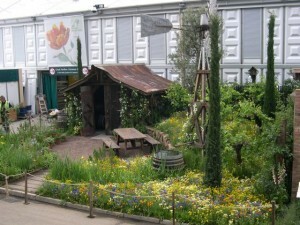 After 16 days of intense work in rain and mud, the garden was complete and earned a silver-gilt medal, just below a Gold. 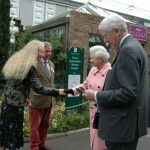 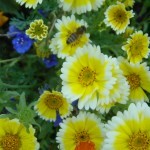 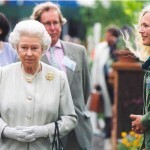 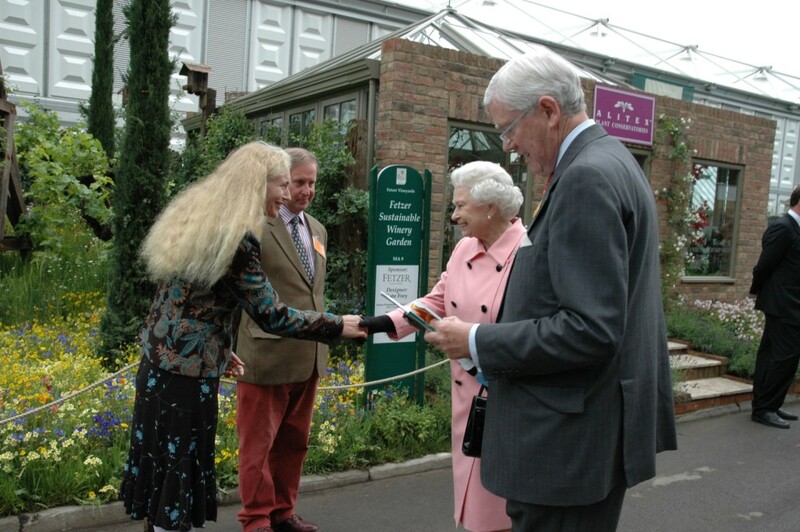 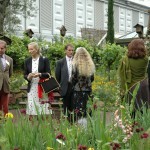 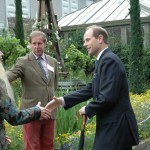 Queen Elizabeth visited, and plans for a further two gardens were launched. 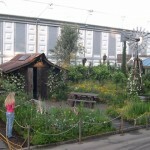 The gardens were a marketing effort designed to capture some of the intense media frenzy and public interest that surrounds the show each year (157,000 visitors over 6 days). 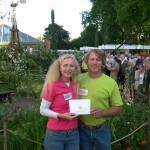 In 2005 and 2007 Kate and Ben designed and organized two more gardens for Fetzer Vineyards representing the company’s organic vineyards and sustainable business practices. 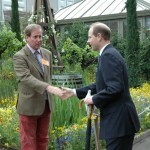 They both won Gold Medals and were visited by the Queen in 2007, as well as many other members of the Royal family and celebrities. Ben designed and built all the structures in the gardens out of recycled wood and elements, constructing them at their residence in Hopland, California and shipping them to London in a shipping container. 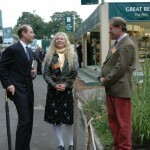 Kate and Simon chat to Prince Edward in 2003.